Diamond Way Buddhism is part of the Karma Kagyu school, one of the three ‘old’ schools of Tibetan Buddhism. This school puts special focus on Buddhist meditation practice and we offer regular guided meditations at our centre in Shibuya, Tokyo. Several times each year different Buddhist teachers visit us for public lectures and in-depth weekend study courses. 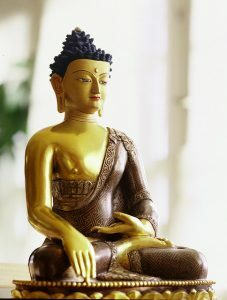 Our 681 Buddhist centers across the Western world present Buddhism in a modern practical context, in over 30 languages. They were founded by Hannah and Lama Ole Nydahl under the spiritual guidance of His Holiness the 16th Karmapa. All our centers are directed by Lama Ole Nydahl under the spiritual patronage of Thaye Dorje, His Holiness the 17th Karmapa.